For leasing information please contact our Leasing Office at (216) 630-1079 or contact us online. Dockside Water, Electric (30 or 50 power) & Cable TV available through Spectrum. 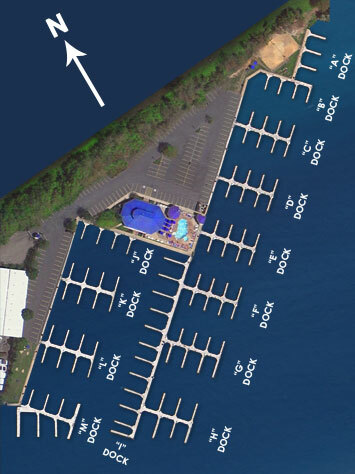 Our 193-slip Yacht Club, with slips ranging from 28 feet to over 70 feet, is the first dockominium type yacht club in the Cleveland area. With the finest dockside amenities including phone, cable TV, water, and 30 or 50 amp electric, you can be assured of an enjoyable stay on your boat. Yearly leases are also available at competitive rates. All of our slips are in protected waters on the Old Cuyahoga, just minutes from the Flats. When the wind really starts blowing, our courteous dock staff will help you safely dock your boat. Because of our unique “dockominium” concept, dock owners receive the benefits of quality ownership as well as the elegant facilities of a superior club. As a member of I-LYA, Olde River Yacht Club is the perfect cruising destination for a weekend away. Our close proximity to downtown Cleveland, the Warehouse District, the Rock Hall, and Progressive Field means fun for the whole family. To apply for an annual membership click here or to pay your membership fees click here. Call today at (216) 630-1079 or apply below for convenient transient docking!